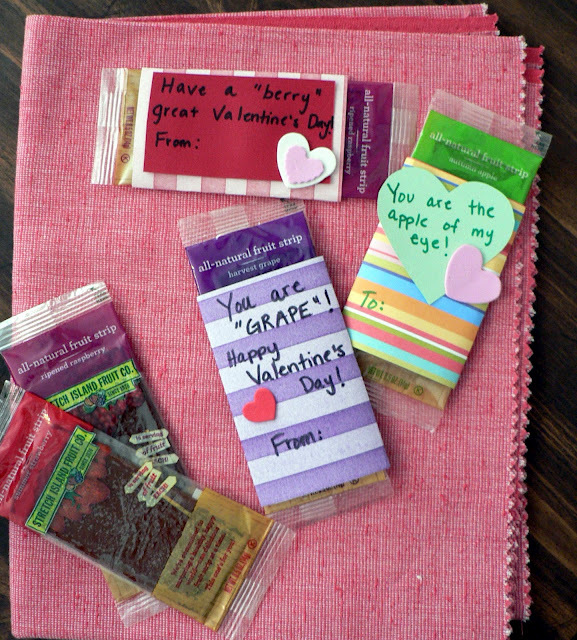 If you are looking for a valentine snack that is a tad bit closer to healthy than a candy bar, maybe to give to preschool kids or to pack in your kids lunches, check out the 7 healthy valentine snack ideas that Melissa came up with. 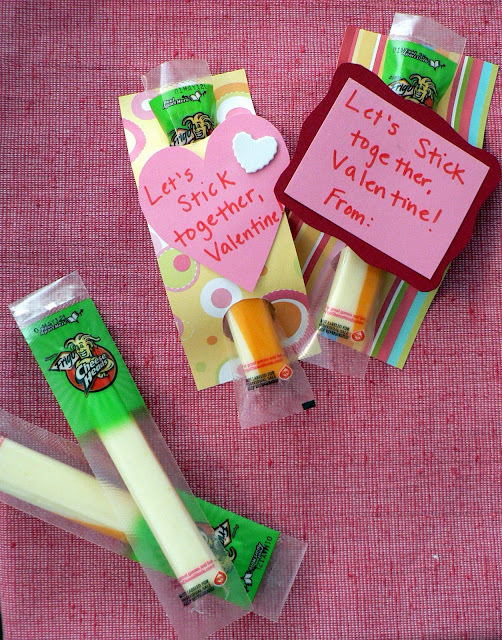 Snacks kids already love, like cheese sticks, with cute valentines attached. Let's Stick Together Valentine. Your Are The Apple of My Eye Valentine. They are all easy to put together and all fun snacks that the kids will enjoy. Check out the healthy valentine treat ideas over at Bless This Mess. So glad for these healthier choices. I've been overdosing just looking at all the Valentine sugar treats. Unfortunately everyone in my house is working at being more health conscious in this department. They may be grown, but they still love little gestures on the V day. Cute! love the idea, thanks for sharing. :) My kids love those fruit leathers, and that's a fun change.